If you're a computer enthusiast and you've never heard of Lian Li you've probably been living in a cave for the past ten years. 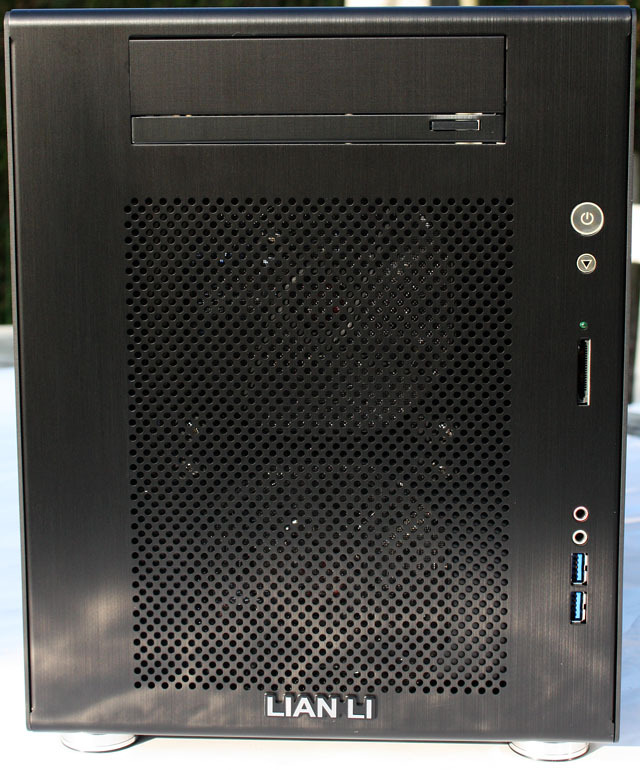 Lian Li is widely renowned for its premium aluminium computer cases, the company has build a pretty good name for itself and if you hear someone complaining about Lian Li cases it's usually about their high price. The subject of today's review is the Lian Li Mini Q PC-V354, a compact aluminium case designed for Micro-ATX/Mini-ITX/Mini-DTX motherboards. Measuring 245mm x 320mm x 420mm (W x H x D) and weighing a mere 4.17kg, the V354 is large enough to fit some pretty decent hardware, which makes it perfect for building a compact LAN party rig or a stylish HTPC/SFF for in the living room. 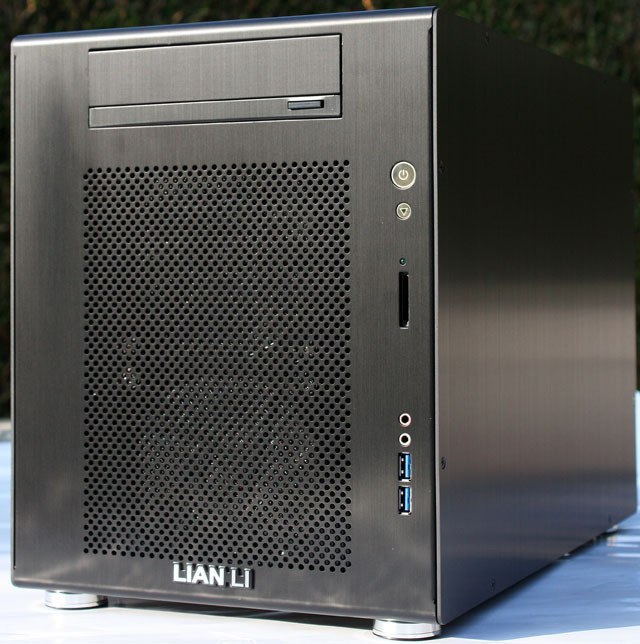 The Lian Li PC-V354 ships in a colorful box that lists all the features and specifications of the case. It's well protected by foam blocks to ensure that the case arrives at your doorstep in pristine condition. 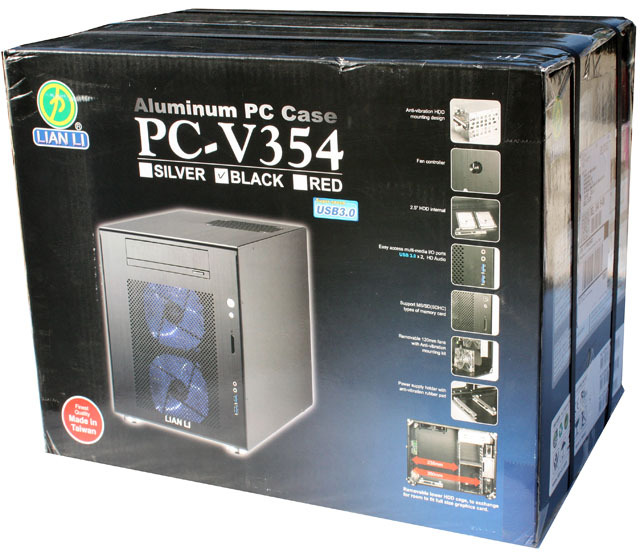 You can get it in three different versions; the Lian Li manufactures black and silver V354 cases with blue LED front fans and for those who prefer colors there's a red edition with red LED fans. The model I've got in my hands is the black edition, it's sold as the PC-V354B. After the unboxing you're greeted by the stylish brushed aluminium design of the V354. The case has a compact rectangle-shaped design with rounded corners and four feet similar to those found on HiFi systems. A large part of the V354's front is occupied by a vent mesh for the two 120mm intake fans. There's room for one exposed 5.25" device, Lian Li equipped it with a nice front bezel so an ugly beige DVD burner or Blu-ray drive won't ruin the case's appearance. There's no support for external 3.5" devices but I think few people will miss this feature in this day and age.